When is the right time to leave your job and start a company? In this interview you’ll hear what led to today’s guest quitting his job at SalesForce and how he built the $50 million dollar a year company that you’ve probably never heard of. We’re going to talk to Jim Yu. He’s the founder of BrightEdge, the leading enterprise content performance marketing. They help enterprises get organic, real traffic to their sites. Jim Yu is the founder of BrightEdge, the leading enterprise content performance marketing. Andrew: Well, you’ve got this phenomenal business. I want to hear how you did it and this interview is funded by Brand Bucket and Content Promotion. Later on, I’ll tell people why if they need a new brand, they should go check out brandbucket.com and if they need their content promoted, they should check out contentpromotion.com. Hey, what size revenues are you guys doing? Jim: From a revenue perspective, we’re a private company so that’s not something that we disclose, but I think the last . . .
Andrew: You’re checking with someone, I see. Who is that over there? You checked with them a couple of times before the interview started. Who is that? Is that Emily? Jim: It’s our head of product marketing. Andrew: Got it. Do you want to bring them on camera? Female: Hi there. How are you? Andrew: There we go. What do you say? Can he say what the revenues are? Female: No, but he can tell you about growth instead. Andrew: Growth? Can I . . . I’ve got the revenues here? Can I say anything about what the revenues are? I know what they are. Jim: Yeah, I think we should. It’s over $50 million, right? Andrew: Yes, that’s frickin’ phenomenal. And the growth rate is what? This is she’s excited about and I would be too. What’s your growth rate on over $50 million a year in sales? What’s the growth rate? Jim: Oh, so from a growth perspective, I think the last public number that we shared was I think the 50% growth rate. That was the last one that we shared. Andrew: This is phenomenal. That you were able to do this, that many people frankly in my audience don’t know about you because you’re not being written up in Tech Crunch every day, you’re not on Techmeme every other minute, but still you built this . . . and this whole thing started because you were at home, you had a new baby, you woke up in the middle of the night, and thought of what? And the area that I was really excited about is this whole area, at the time, around, really this idea around earned media that marketers ultimately would have to do more than just ran ads, but that they would actually have to create content and they would have to earn their audience and be able to build their audience. Eight years ago was actually a long time ago in marketing and so it was actually a very novel approach. But it was really clear to me that that would be the future of marketing. Andrew: As I understand it, when you woke up, you said, “If it’s not now, I may never get another opportunity to do this.” Why’d you feel like at that moment in your life, after having a baby, if you didn’t start this business, if you didn’t start a business of any kind that you might just miss your opportunity? Andrew: Could you afford to start a company at that stage? Because you’ve got to be in a mind state where you say, “Now I have to take care of this new baby, this new life for the next 20 years, if I screw this up then what?” Did you worry about the finances of it? Jim: I did and it was interesting. I’d been very fortunate that SalesForce was doing very well and so I had some good sort of runway from the perspective of just being able to pay living expenses and things like that. But having a newborn, you certainly think a lot about what about college expenses and things like that. Andrew: Yeah, random stuff like that comes into your head. Andrew: All right. And you mentioned that you worked with SalesForce. SalesForce was buying tons of ads, right? Jim: That’s right? Salesforce was certainly a lot of ads and at the time, even though SalesForce is amazing at marketing, at the time, it wasn’t doing a lot in the area of content and organic and optimizing content and things like and so it was clear that even though SalesForce was doing a lot of marketing and spending a lot of money on buying ads and things like that, but there were huge opportunities to really leverage content and to be able to drive leads. In that business, it’s a lot about driving leads and free trials and signups and things like that. Andrew: And so you said, “Why is this happening? Why is it that companies like SalesForce, are buying ads, but they’re neglecting this organic traffic that smaller businesses understand and you started talking to a bunch of marketers and what did you discover? Jim: It was really interesting because this was eight years ago. So it was really early. And when you talk to marketers at the time, there were really kind of three buckets. There were marketers that were small businesses, but were purely online, and they made all their money by getting traffic online and being able to . . . whether it’s a small e-commerce company or it’s a sort of web 2.0 companies at the time that were trying to build out their traffic that really understood. So that was kind of one bucket. Another bucket was the large tech companies and more large web companies and those folks had sort of orientation around thinking about growth. So as opposed to just thinking sort of what’s the campaign they’re running, they’re thinking about what are the levers they can drive for user acquisition and growth. And so that was another bucket. And the third bucket was more traditional big brands. And those marketers were very much ad-driven at the time and so you could see this difference in the market. And a lot of the early days, you’re trying to figure who are the early adopters going to be? And for us, it turned out to be the folks that were in this sort of second bucket of Internet companies and e-commerce companies that really drove . . .
Andrew: Internet, e-commerce companies that were looking for specific ROI. Andrew: That was the group. So it sounds like, then, you had a lot of conservations with marketers. How’d you find all these marketers who’d be willing to sit down and have a conversation with you about how they spent their money, where they focused, what their goals were with their marketing? How’d you find all those marketers? Jim: Yeah, so a lot of this was through networking. By background, I spent about 10 years in enterprise software so I had been a product manager. So I understood a lot around sort of how do you build new products and a lot of that applies to building a new software company. So a lot of it is doing primary and secondary research, networking to find different types of customers and brands and figuring out how to bucket them to try to do the pattern recognition . . .
Andrew: What would you say to them to get them to come and have a conversation with you? What’s in it for them? Jim: A lot of it is just asking for favors and through people that you know. The first set of marketers that we talked to were very much people that I knew or people that were referrals to other people that they knew. I had a list of sort of a set of categories that I wanted to understand and I would network into different people and it was also at events. I ran into a person who was another entrepreneur who was starting a company and wanted an introduction to SalesForce and I introduced them into SalesForce and they introduced me into another big tech company that I was trying to get a hold of. And so there are a lot of entrepreneurs out there that you can network with and help each other. Andrew: I see. So the same skills that someone might use to close sales, you were using to get in front of people who’d give you feedback on your idea and help you understand who your target market was? Jim: That’s exactly right. And I think that part was actually not hard because people talk to you, but getting your first deal, that’s pretty hard. Andrew: Did you try to get your first deal before you created the software? Jim: Not exactly. So the way that I did it was very much, I started building the software, but keeping it on a very fast cadence. So basically, at the time, every two weeks, we would release a new version of the software. And it almost didn’t matter exactly what the feature function was. What mattered more was that we had this cadence of constantly releasing new things and I could talk to customers, get their feedback and build it, and then get their feedback from what we built. So it was the iterative process of building the product. But in terms of the first customers that we got, in terms of sales, it was very much people that we had been building products for or with for a little bit of time and then we got them as a customer. Andrew: Was part of your conversation to say something that I heard in past interviews, or you saying, “If I build this, is that something that you would be willing to pay for on a monthly basis?” Was that the kind of question you would ask? Andrew: Do you remember one person who you asked that question who gave you an especially useful response before you ever built anything? And that was a huge aha moment for me because this was a company that was spending literally tens of millions of dollars in terms of these programs and they couldn’t figure out which ones were paying off and which ones weren’t. So their whole model of trying to drive ROI from their marketing, from the content programs, was really sort of . . . really needed this ability to connect the dots back to ROI. Andrew: And Jim, they were spending that much money on content marketing or content creation before they could even figure out what the ROI was on it? Jim: That’s right. But it’s not this content creation, it’s all the stuff related to it. Andrew: What else is related to it? Jim: The structure of the site, they technical implementation of your site, how much . . . different types of programs that you’re using, for example, to drive outreach and visibility for that content. So they were spending a lot of money and they were actually getting a lot of return. The question was, at the next level of granularity, which one’s working, which one’s not, so you can do more of what’s working and give rid of this stuff that’s not working? Andrew: So when you say that here’s what I’m understanding. Tell me if I’m right about this. It feels like one of the reasons why their response is especially useful is that they were already spending money on this. That they bought into your worldview that content and organic traffic and natural interaction with people was the way to go. You didn’t have to convince them of that. You just had to give them better tools to do it as opposed to other companies who might be saying, “We’re only in the ad buying space and you’d have to convince them to both start creating content and measure it against someone. Andrew: I see. Can you say who the company is? Or is that a breach of some kind? Jim: Yeah, can’t share that exactly. Andrew: That doesn’t help in the interview one way or the other, so I didn’t want to push for it. Jim: But I can tell you one of the things that were really exciting is, after we figured that out, that use case, that sort of key capability to build a product and once we built that, we ended up pretty much getting all the retailers, the big retailers. Today, we have 9 of the top 10 retailers leverage BrightEdge. And a big part of that was understanding that value proposition, understanding that use case, and then building a repeatable sales process to go and get those big customers. Andrew: Now that you say it, it just sounds like, of course, it makes so much sense. But what did you think before you heard that insight? What was your opinion of what the software should be before then? Jim: Well, so there were a couple of pieces that we were doing before that. The first was this ability to understand all the different pieces of content across the web and that is a very important capability. We have this technology called the data cube, where we’re indexing every piece of content across the web. We’re understanding what are the different competitors doing, what are the different people upstream doing in terms of their content strategies? What topics are relevant, which topics have interesting trends? So we had all this, but think of it as this web-wide scale of data and understanding this content battleground that you have to operate in, in order to get performance and visibility for your content. So before you write a single piece of content, understanding where’s the demand, how competitive is it, who are you going to have to out-maneuver? So all of that we started building and that was a very important capability and continues to be incredibly valuable for our customers. But, on top of that, this ability to then connect it back to what is the return. Given the topics you decided to create content around, what ultimately worked and didn’t and how do you align your organization around that? So it’s this sort of process of . . . it’s almost like you’re feeling your way through the market and figuring out which use cases you need to build up and that’s driving a lot of how your technology and product strategy works. Andrew: Okay. Let me see, content. Yeah, let me do a quick sponsorship message and then I’m going to come back and ask you about there’s a guy in a photo next to you from 2007 that’s an important part of this story. I want to find out about him. A past interviewee asked me to ask you a question because he was fascinated by your business. I’ll ask you about that and then I want to know how you got those early customers when you were just still trying to figure out what the whole business was. But my sponsor is contentpromotion.com. Let me tell you guys what they do by giving you an example of what happened to me a couple of years ago actually. I had an infographic that a company called Lemonly created for us. They spent a lot of time on it. It was about how to look good on a webcam and I wanted people to see it because they spent so much time on it because my team spent so much time on it, because the designer spent so much time on it, because I wanted, frankly, attention and traffic for my site. And many of those influencers, the one that got . . . the guy who stands out for me is Rand Fishkin, who a week before had posted an article about how he hates infographics. He nevertheless shared that infographic and it was hugely impactful for traffic. 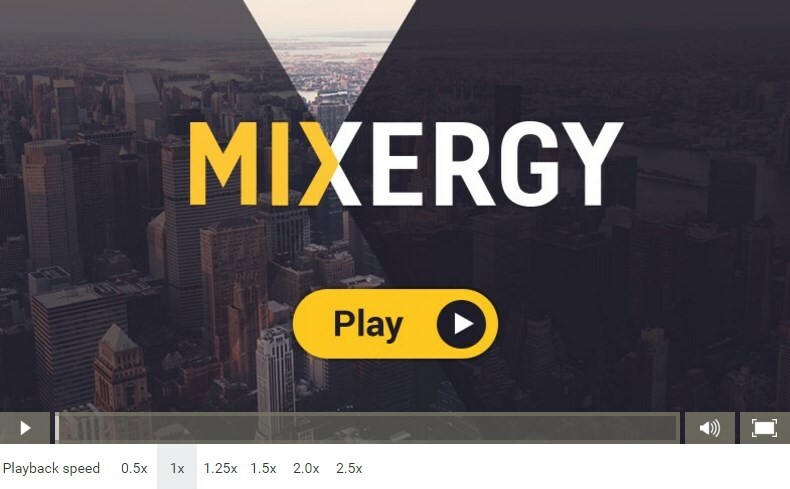 It’s maybe the most visited page on Mixergy or the most shared piece of content for sure on Mixergy. And it’s all because we had access to all these influencers because I made connections with them over the years and they are incredibly powerful at sending traffic. And not just random traffic, but good, quality traffic that comes with their stamp of approval on it. So what happens when you work that hard, you the person who’s listening to me, and you don’t want to have access to people like Rand, you don’t know people like Jim, you don’t have all these people in your network like Tucker Max, who’s promoted Mixergy in the past by tweeting out? Well, in that case, there’s a company called contentpromotion.com. They’ve been at this for years. What they do is they get the right influencers together and the reach out to them in a really organized way that you could be proud of and they get you authentic links, mentions and social shares. And, as a result, that’s going to get you more traffic from Google, that’s going to get you more traffic from major social platforms, that’s going to get you more recognition. You could build this whole enterprise for yourself or . . . and it’s going to take you a while and maybe you’ll get it right, maybe you won’t. Or you can just go to contentpromotion.com/mixergy and they’ll do it all for you. And they’re offering a 15% discount on your first campaign if you are in the Mixergy audience. So if you want your traffic to grow because of quality links from influencers who you respect and people who you know are going to drive you traffic and credibility, go to contentpromotion.com/mixergy. When you go that full URL, you’re going to get a 15% discount. I say this all the time with my especially good sponsors, write down the URL even if you don’t need it right now. Someone in your network will and they’ll thank you for introducing and for giving them, frankly, the Mixergy 15% discount. Go to contentpromotion.com/mixergy. They’ve got such a great frickin’ domain and I’m grateful to them for sponsoring. Jim: Yeah, I think . . . so there were a couple of things. One, I think, in terms of a co-founder, one of the things I really wanted was sort of somebody who could really work with me, really on two things. The first is from a skill set perspective, I needed a CTO. I needed somebody who could really drive the technology and build the technology with me while I was talking to customers, while I was sort of figuring out the product and how we’d get the early revenue. And so, one was really around the skills set or a complementary skills set. The second thing was really just so . . . starting a company is a really . . . it’s a really hard thing to do. It’s a hard journey and just having somebody who has your back and somebody who you . . . that you work closely with and that you trust and is going to build the business together with you is really important. It’s really important not only from a skill set perspective but also from a being able to drive through the roller coaster ride that this is. Andrew: So how do you know? I can see how you can test for tech skills. How do you know that the guy who you end up partnering with has got the fortitude to stand up to tough situations of business? Who can push back on you? Who can be there emotionally for you and not just make you feel weak for feeling like you’re struggling? How could you test for that in a co-founder? Jim: I think it’s interesting. I think the big thing for me was with Lem, my co-founder, it was really about . . . when I learned that he had spent a year volunteering in Africa and as a part of USAID and really in a part of Africa in Mauritania, where there’s no running water and he was working with them on sustainable food. And so I remember thinking when I learned that, “If he can survive malaria and no water, this will be a cake walk.” And so that was a big part for me. Andrew: The photo that I’m looking at of the two of you in 2007, the two of you look like any two kids from my high school math class. And then, on the right side of it, someone at BrightEdge tweeted what you guys look like now. You’re both really dapper. Lem has this scarf around his neck that looks really cool, but at the same time, I noticed only after the fact that it’s got a little promotion for your company on it. You know what, do you want to just slide the camera down a little bit, there’s more space over your head. Let people see you. You look professional now. There you just look like two guys at home and you literally were at home. You were holding a baby because of what? Where were you guys working? Jim: We were working at subleased office space from another company. It was an amazing deal. It was like $1000 a month for real office space and we were basically building the technology almost 24/7. So we had two rooms, one of which we used for customer type meetings that we kept looking pretty good, and another one where literally we had an air mattress where if we needed to crash because we were finishing up the code, that’s what we did. There were certainly releases where Lem and I would literally live in that office for three months straight kind of cranking through the release. Andrew: Your wife must’ve been so supportive. In fact, this is your second office, technically. Technically, maybe you can consider it your first office, but I’d say that there was another one before and that’s at home. Andrew: Lem moved in with you? Andrew: He did, with you and a brand new baby who cries in the middle of the night and a wife who has every reason to expect that she’s got some space with her husband, he moved in. Andrew: I guess the saying over and over, “This is better than malaria.” has got to be really persuasive. Jim: That’s right and the bed was a really short commute. You go from the sofa to the kitchen table where the kitchen table was where we had . . . we had half of that stocked with our servers and where we were building the technology. Andrew: On the kitchen table, the servers sat and they were there permanently on part of the table so you can sit and eat on the other part. And you got the servers from where? Jim: Yeah. At the time, we were building this big index for the data cube and so we needed a lot of servers. We went to Costco, we bought the servers, basically it was inexpensive machines and then the thing was it was during the summer too . . . and then the summer came and we’re indexing the web. So this stuff is running hot all the time and so we got an AC and we had the AC wrapped around sort of . . . we built this thing where . . . we didn’t have a data center, but you’ve got to cool down the servers and so we wrapped around half the kitchen table and then we had the AC and basically the condo would get super hot because it was ventilating the warm air out, but it kept the servers really nice and cool. Andrew: It’s phenomenal that you guys were willing to put up with that and that your wife was willing to put up it, that it worked, and that you could actually get work done in such a chaotic environment. Jim: Oh, yeah, and my wife was incredibly supportive. I have a very understanding wife and our baby would crawl around sometimes because she was learning to crawl at the time and so it was quite the scene. The best part was when you raise money from the venture capital firms, they do an office visit where they go and check out the operations and get a sense of what they’re investing in. And I remember, our investors from Altos Ventures who were great and did our Series A, came to our worldwide headquarters, which was this 1,000 square foot condo with the servers on the kitchen table and it was so hot. They were just pouring sweat as they’re doing this office visit. So I think that was a pretty unique experience for them too. Andrew: I’ll remember that the next time they turn off the air-conditioning here after hours at the office and I feel like I’m sweating. It’s way better than what you were in. Before you got funding, you got customers. So you told our producer who asked you, “What was your launch like?” You said, “It was a very basic launch, we had a version that we pitched to customers and we sold to them for $2000 a month.” What was in that first version that you were able to sell for two grand a month? Jim: Well, the first version was very basic. It helped them track of a handful of their topics and keywords that they were trying to optimize for, understand some of the content and so it was a really, really basic version. And that was a big aha moment when we realized, “There’s so much need and value here that you could get. You can get a real price point. You can real customers that are going to pay you real dollars in order to support this need. Now, we had very few customers in the beginning before we raised money. We were in stealth mode. Andrew: For a couple of years. Jim: For a couple of years, exactly. Andrew: But, when you go to a customer and you say to them, “We’re going to show how many new customers you’re getting or how many new demos you’re getting from each piece of content,” Is that what you’re saying to them, by the way? Andrew: That is. Don’t they say, “This already exists”? A lot of software already does that. Jim: Yeah, so what it does is . . . what we do is . . . it’s not just about helping you understand a single piece of content in terms of what it generates. It’s really helping you understand the whole landscape of what are the different topics that you want to go after? How much revenue could you get from this? Are you optimizing it correctly in terms of the page structure? Are you optimizing it for search? Are you optimizing it for social sharing? It audits all those kinds of things and allows you to scale that out. And so it has the ability to not only provide you the analytics but the entire business practice around . . .
Andrew: Can you find software, or couldn’t you at the time find software like that? I know you write for moz.com, Rand Fishkin’s site. Right, you do? Jim: I don’t actually write for Moz. Andrew: Or you used to. Jim: No, I write for some of the search . . .
Andrew: Oh, you’re right, for Search Engine Land. You know what? That’s what I like about video, I said it and we kind of passed it through, but I saw something come across your face like I got it wrong. Yeah, you were on Search Engine, actually you still are on Search Engine Land? So you know that software like this already exists out in the world, doesn’t it? Jim: At the time, nothing for the enterprises, I think we really . . . we pioneered this whole category. Andrew: So why can’t enterprises use regular people software? Jim: That’s a great question. So at the time, there are a lot of these tools. There are tools that basically allow you get a little data there, get a little data here, but nothing that really connects all the dots. Nothing with the scale of how do you understand and how do you run a big, global program. Because enterprises have very unique needs. They have very large-scale sites. They have to be able to understand ROI. At the time, one of the things we pioneered was this whole notion of how do you connect all the dots back to ROI and understanding the before and after of the content creation campaigns. Even today, most content writers, they still, I see this pretty much every day we talk to customers and talk to prospects that are creating content, and they don’t understand what’s going to be most effective. They don’t have a systematic planning process for figuring out what things to go after. What’s the competition? How do you really focus those programs on driving business performance? Andrew: And so what would you say to them at that point? Jim: Well, I think paid is always incredibly important. It’s a big part of your programs, but in addition to that, you really have to have the ability to earn your media. It’s not an either/or, it’s really an and. You really, in the new world of marketing, you really have to have both, paid and earned. And I think it’s one of these things where the earned piece allows you to have a strong foundation that constantly pays off for you because it’s continuously earning traffic for you as opposed to on the paid side, which is critically important as well, but that can be additive to your earned media strategies. Andrew: I’m looking at your homepage; you have some phenomenal customers, Marriot, Microsoft, Nike, Twitter, Williams-Sonoma, Adobe. I’m seeing them all on your homepage and that’s just a small part. According to your site, you have 41% of the Fortune 100 companies. I know there are people in my audience who would like to get that kind of customer too. But it’s hard to break in and here you’ve got 41% of the Fortune 100 companies. So do you have any advice for someone who’s building a business and wants to get into enterprise for how to open those doors, get them to give you feedback and eventually, hopefully, buy? Jim: Yeah. I think with enterprises, one of the most critical things is really finding a sharp need, a real sort of sharp pain point and being able to find early adopters who are going to be advocates that want to try new things out. You see this in enterprises. I’d say one of the best strategies there is to think about what vertical markets are going to be your early adopters. That’s something that we talked a little bit about in terms of the different types of tests that we ran and in order to figure out what is that market? Who’s going to be the early adopters? Like for us, it was e-commerce, it was the tech companies. And later on it was the banks, later on it was travel and hospitality, and media companies and so forth. So now, today, we have customers across almost every big industry vertical, but when you trying to go after enterprise, one of the best things you can do is look at different target verticals and figure out where you’re going to have a sharp entry point that you can go after because you can’t go after everything. And you’ll find patterns where a specific vertical is going to be your early adopter vertical. And that will be your beachhead of building the business. Andrew: Can you just describe one of the early adopters? What about them let you know that they were early adopters? Did they have funky technology or something? What did they have? Jim: Yeah, so there are a couple of really important things with early adopters. The first is they are the people that want to try new things. The analogy in the consumer world is it’s the people that line up for the latest iPhones. There are companies that are like that too. There are companies that are known for wanting innovation. Andrew: Oh, I see, it’s not just, as an individual, you’re saying it’s not just the individual who loves technology. There are some companies whose culture is that they just love the new stuff and they want to try . . . I see. And when you go into their office, what would you see? Would you see like the new Apple Watch on people’s wrists the day it comes out or did you see something else? Is it more subtle than that? How can you tell? Jim: I think one of the things that you can tell is really in terms of when you talk to them, you’ll get a sense of the culture of the company. When you look at, for example, 3M is a big customer of ours. 3M is . . . their whole business is built around innovation. And so when you have companies that focused a lot on innovation, those are also going to be folks that are more willing to take risks. And every big company has a process that you’re going to have to go through to get them to sign up with you, but you can see how centralized or decentralized their decision making is when you ask the customer, “So what does it look like when you buy something new.” And you can get a sense of how long that process is. The companies that are set up for being early adopters will have lighter weight ways of piloting things and trying things. And companies that are a little more traditional are going to have a much more structured procurement process that you’re going to have a harder time getting through to. And so you want to pick those ones that are going to be easier to get through the process . . .
Andrew: So, Jim, was the $2000 price point, part of that understanding that there was a price point where it was easier to try new things? Jim: Absolutely. I think in enterprise software, what you see is . . . you have to think a lot about what is the decision cycle? How many people are going to be involved in a purchase decision? And price actually has a big impact on that. A director at a Fortune 500 company can approve something that’s 30, 40, $50,000. But if you’re asking for a half-million-dollar sort of contract, that likely is going to involve a VP and potentially multiple departments and hit a very different budgeting cycle. And so you want to really think about price, what you’re pricing your things at versus the value you’re delivering to the customers and also, within enterprises very much, what is the purchase cycle? What are they going to have to through in order buy your technology or product? Andrew: All right. So you have that and one of the other things that you understand what they’re going to pay for, you understand what price you should charge and then I’ve seen it, you decided you’re going to talk to your customer and then create new features based on what would get you new customers? Right? Andrew: So you go to people and do you remember one thing that was left out of the initial version that after a conversation with a customer you realized, “We should add that too”? Jim: Yeah, absolutely. There are lots and lots of things that we’ve added. We have a whole process now, which we call Voice of Customer, where we’re constantly now at scale, listening to our customers. We literally delivered over 300 features, innovations, in the last year on this area. Andrew: How do you help someone understand their brand performance? That’s much harder to track, isn’t it? Jim: Yeah, and so it’s really interesting because in the area of organic, one of the things that you can do, and one of the innovations that we came up with is this idea that you can map out a whole series of topics and you can build a model around the topics and keywords. And you can look at sort of the volume and the demand for those topics, and then you can create this share of voice, this sort of view into the market share of each of those customers. And what it unveils is that not only do they have their direct competitors, it also unveils the other people that they’re competing with for share of voice or mindshare in terms of each of the key topic areas in which they compete. Andrew: So, in other words, a hotel chain might be competing with another hotel chain from [inaudible 00:39:39], but they’re also competing against Airbnb or maybe even Craigslist. Jim: Exactly, and in fact, one of the things that you find that’s fascinating is . . . and as you apply that to the entire customer journey, it’s not only the late stage kind of purchase terms and topics, it’s also even things like travel guides. If you think about travel guides, there’s content there. There are topics there that are super relevant to your business and you want to understand your share of voice. And it could be because you’re trying to create topics in order to go after that audience. It could also be that you’re identifying new places to also even run paid ads. And so this is where earned and paid are really sort of two sides of the same coin in terms of what your marketing program . . . that you want to be reinforcing each other. Andrew: All right. So far, we’ve talked about only the successes. There was one big challenge that we need to get to. But first, before we get into that, let me tell everyone about my other sponsor, which is BrandBucket. I always type them in as I tell people about them. Here’s what BrandBucket is. You know when you start a new business or maybe even just launch a new product as a side to your main business, one of the toughest challenges is it takes forever to come up with a name. I remember going on to different websites, checking domain availability, then I’d go to websites that would pair one name with weird suffixes, then I’d go to another website that would just give me random names that are available but happen to be short. It took forever, weeks and weeks, when you’re really eager to get started with this new idea and not kill the momentum. What was it like for you, Jim, to find a name for your company, BrightEdge? Jim: Yeah, that was a whole process. Finding a name is incredibly difficult and we played with all kinds of names. The first name we did was this thing called . . . because we were filing our incorporation documents. It was called Optiweber. It was just a random name, terrible name. Andrew: I like that name. Really? Jim: But . . .
Andrew: But it does kind of limit you then to the web and it looks like you guys are now doing a lot in mobile also. Jim: Exactly. That’s exactly right. And so having a name that’s broad is important. Andrew: My original name was Circle of Five Events before Mixergy because we were doing event first. And imagined I’d been locked into events in the name. I’d be locked into Circle of Five. And frankly, events took a long time. And then to get to Mixergy took a long time and then to make sure that you have a domain that fits takes a long time. Well, I interviewed a guy a while back whose name is Collis who says that he just doesn’t have that kind of patience. He wanted to have a brand, not just a name, but a name that’s a brand and that he can use to build his new business. And so he went to this new company that he introduced me to, it’s called BrandBucket, and just started scrolling through it, the way that someone who’s unmarried might be looking through Tinder for a date. Just scrolling through, seeing what’s available and then he came across a name for his company that was available that came with a domain that came with the logos so he could visualize the whole thing together, picture it being perfect for him, and as a result, he bought it and he built up his business and he built up this multimillion-dollar business that I interviewed him about and he got started fast because he got a domain and a company name directly from BrandBucket. If you’re looking for a new brand, either for your existing company or for a new business, or maybe a new product, there’s no obligation. You just have to go to Brandbucket.com/Mixergy and when you do, you can just scroll through a bunch of readymade brands that are ready for you to buy. As I said, you’ll get the name, the logo, the domain, and if nothing else, it’ll just spark some creativity in you. If you decide to buy, you’re going to get a really price that’s all inclusive. And if you use the URL that I just gave you, BrandBucket.com/Mixergy, they’ll even give you $75 from that guy Collis that I told you about from his marketplace. Collis created a marketplace that has all kinds of software, themes, designs for businesses like ours. So if you go to BrandBucket.com/Mixergy, they’ll give you $75 in a marketplace gift certificate for Collis’s website, which means that you’ll be able to get a new design for your website, you’ll be able to get new code for your website, you’ll be able to get all kinds of stuff. But the most important is to go to BrandBucket.com/Mixergy and get the new brand for your new product or business. It’s that easy. Scroll around, you’ll love it. So, Jim, here’s the thing that I highlighted in my notes from your pre-interview. I made it big, I wanted to make sure to talk about it because here’s what you said, “When you’re starting a new business, you’re confident, but with something new you always question yourself a bit.” Get real about that. I don’t want to give people the impression that life was easy for you and you just created this company and everything was easy. When you questioned yourself, what was going on in your head? Jim: Well, I think especially in the early days, exactly as you mentioned, I think it’s one of these situations where you start a company, you think, “This is going to be great. It’s huge. I’m going to change the world. This is the future . . .
Andrew: Oops, let’s see. I’m going to call you right back, Jim. That worked before, so I’m going to call you right back. Sorry, you were saying, “It’s huge, we’re going to change the future,” and then what happened? Jim: And then I started talking to potential customers and then you start to try to raise money and that’s when reality sets in as you get data because you’re going to talk to some early customers that have . . . potential customers that have no idea what you’re talking about. Andrew: Do you remember one time when you were especially discouraged? Jim: Yeah, one thing was I was raising money and it was one of these things where we pitching and it was an East Coast firm, and we’re based out here in the West Coast. So it was a 6:00 a.m. call for us on the West Coast because it was 9:00 a.m. on the East Coast. And so Lem and I, my co-founder and I, spent all night kind of preparing this demo of our technology for this call. Andrew: Did you start to doubt yourself? Andrew: When you doubt yourself, what do you hear in your head? What do your doubts sound like? Andrew: You just have to project into the future and say, “I’ve got a new child. This child’s not going to have a good life. My wife is going to feel let down.” Did you do any of that? Andrew: Be let down and let them down. Jim: That’s right. Well, “Ironman” was out, we had been working straight for a long time, we’d just pulled an all-nighter to get ready for this pitch. It’s just one of those things where it was about celebrating the failure. And just rolling with the process, rolling with the journey because we were so down. And so it was like, “Let’s go do something fun. Let’s go do something that’s just going to get our mind off this and we can get back into after that.” And so “Ironman” had just come out. It was the first Ironman and we were both excited about it. So we just dropped everything and went and watched “Ironman” and it was actually great. Andrew: Do something to get your mind off things and stop spinning your wheels and then a day or two later, you actually got a brand new phone call and what happened there? Jim: It was awesome because then a day later, we went and did another pitch and that ended up being our Series A. And so it went really well and the partner there actually brought in all of his other partners or brought in two of his other partners that same meeting and then we were quickly offered . . .
Andrew: Anthony Lee of Altos Ventures? What did Anthony see in you in that one meeting? Jim: That, I don’t know. I think he thought it was a good idea. I think they saw in Lem and I a good team to go and just go after an interesting area. I’m not sure exactly . . . because the idea was so early, it was so early that I’m sure . . . it certainly wasn’t the product. And I think it generally was an interesting area and I think some of it was really that they thought we would go and do this. Andrew: How much did he put in? I’m looking to see the number and . . .
Jim: It was about a million. It was a million . . . it was a little over a million, maybe $1.3 or $1.4 million, something in that zone. Andrew: And overall, do you guys now have $61.9 million in funding? Andrew: Wow, CrunchBase is accurate then. That’s phenomenal that you were able to do that. So here’s what my past interviewee, this is a guy named . . . do you know Mac Cummings? Andrew: He is the founder of Terakeet and what he wants to understand is how you manage . . . you have what? He said 1200 customers. What software and systems are you using to manage all those customers? Jim: Yeah, so I think in terms of the systems that we use, we use SalesForce in terms of our CRM system. Andrew: Of course. Actually, now that makes sense. Yes. Jim: And that helps us sort of manage those dimensions. We use BrightEdge for our content programs and then we use Oracle Eloqua for our email marketing and marketing automation. Andrew: What do you do in SalesForce? What do you do in SalesForce that’s different from other people who hadn’t worked with SalesForce, who don’t understand the full power of it? Jim: I think a lot of it is really around standardization of processes. SalesForce is very powerful so you can add all kinds of different things, but a lot of times that power actually, if you don’t drive towards simplicity, it actually works against scale. So as you try to scale, how do you simplify? So it’s a lot about not so much about how do you turn on every capability, but more about how do you streamline it in a way where it’s just the keys things that you need to run your business. Andrew: I see. I can see how it could be overwhelming otherwise. Why don’t we close out with this great story that I heard about you wanting a computer and getting it from your parents as a kid and you wanted then to do what with your computer and your parents said no? Jim: Uh, in terms . . .
Andrew: I think you wanted to play games. Jim: Oh, that’s right. I wanted to play games. They wouldn’t buy me any games and so then I had to learn to program games and that’s how I got into computers. Andrew: You decided that they’re not going to buy you games so you’re going to figure out how to create your own games? What’s one of the early games that you created? Jim: It was just a lot of little games. I created my own little fighter game where you could move your little fighter around. This was a while ago so computers at the time, the monitor was monochrome so there weren’t multiple colors. I built this little game where I could take a little fighter airplane and shoot at different objects. It was pretty cool. Andrew: It’s amazing that that stuff was just in you even back then. That you were willing to sit down and code this up and as a result now you’ve coded this business doing over $50 million in sales. What’s the proudest part in having done all this? Jim: I think one of the most exciting things is really about watching some of our people grow. We’ve been able to hire folks that are really talented and watching them grow and take on more responsibility in the company and take on different things is really exciting. Andrew: Yeah, I can see that. Man, it’s unreal that you were able to do this in, let me see, since 2007 so it’s eight years. Andrew: Phenomenal. Congratulations on the growth. Anyone who wants to check out your site can just go to BrightEdge.com. And guess what? BrightEdge is spelled as easily as you’d think. It’s just the word bright and the word edge. And my two sponsors for this interview are Brand Bucket and Content Promotion. Remember, if you need a new brand, go to BrandBucket.com/Mixergy and if you need someone to help you promote your content on your site to tap into those influencers that will help raise your profile, go check out contentpromotion.com/mixergy. Jim, so good to have you on here. Jim: Thanks so much. Likewise. Andrew: You bet. Thank you all for being a part of Mixergy. Bye, everyone. ContentPromotion – Do you need to get your content out to the public? Maybe you don’t have the time or connections to reach out to influencers but you want to get the credibility that comes with being mentioned by someone who’s admired in your space. ContentPromotion helps companies do just that and they can help you too. How? By conducting outreach by hand to showcase your content to relevant influencers to generate authentic links, mentions and social shares. Go to ContentPromotion.com/Mixergy and get a 15% discount on your first campaign. BrandBucket – If you’re starting a company or if you’re starting a new project for your current company and you want someone to package all of the branding for you, go to BrandBucket. You’ll end up with a name that fits your company and a brand that fits the name—for less than the price you’d pay for a really hot domain. You don’t have to be a designer. You don’t have to hire a creative agency—BrandBucket vets the brands for you. if you need a full brand to get your business started, go to BrandBucket.